Like a Girl, Like a Boss: How Does Having a Baby Change Your Business Model? How Does Having a Baby Change Your Business Model? No matter what stage you are in running your own business, having a baby changes things in a big way. As part of our Like a Girl, Like a Boss campaign, we’re sharing real stories of women and mothers who own their own businesses. 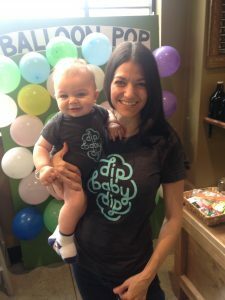 Here are three real stories from real women of how their businesses changed with the addition of a baby. “When we launched Darista, there were many different layers to the business. After my son was born, it forced me to look at the business in a different perspective and re-evaluate, “what do we do the best?” What do we do well, and how do we scale that? And then we went back and started removing all the layers that didn’t support the end goal and the bigger vision. Specifically, we stopped doing catering or doing pop-up restaurant events. While we loved doing these events, we felt that in the end they were draining our resources rather than building them. We even received an offer for a complete brick-and-mortar restaurant on the building owner’s dollar. We politely declined. We really fine-tuned and made tweaks to become extremely focused with what we knew was working, and what could be a sustainable business model. We strongly evaluated our number goals—labor, cost of goods, securing new business—while maintaining a very happy family, meaning our team. Our approach was to make everyone inclusive. Our people have access to our books. Everyone feels they are contributing together as a unified team family and can fully understand and support why we make the business decisions we do. As for me, I had to redefine my role in the company. I quickly decided that the majority of my actions and day-to-day work should be supporting our company’s growth. So the decisions I make are all supporting that idea. It might be hiring a new person to fulfill a role I was doing that is still necessary but might have been more tactical than big-picture. 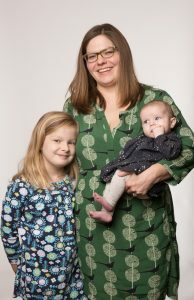 “My sisters have had two babies within the past two years, so I’ve gotten to witness the realities of maternity leave and have seen how having children is an amazing, fascinating thing. 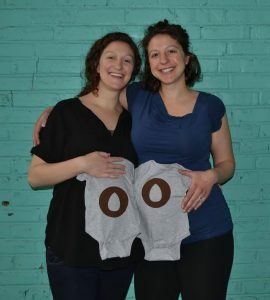 My sisters and I started the company in 2013, and when they had children it caused us to create a more long-term goal for Soom Foods. With a startup business, often, you’re investing into something in order to sell it. 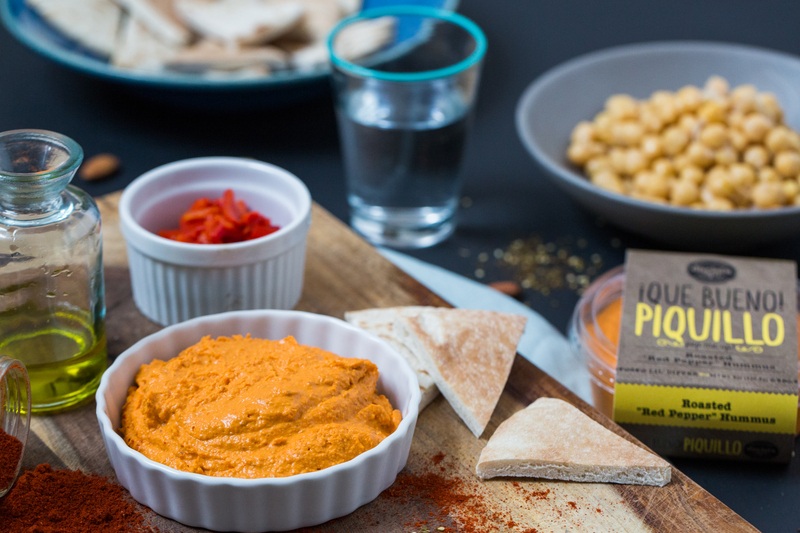 Once that next generation came in, we started thinking, are our children going to be selling tahini in 25 years? Is this going to be a generational thing? In the midst of all the pride and excitement that comes with having a baby, it really opened our eyes to the fact that this is a family business and now there’s a next generation of family members. “I do marketing and PR consulting for small food businesses, and I work from a home office. When you say ‘I work from home,’ a lot of people are like, ‘Wow that’s great! You can just keep the baby at home and work and that’ll be awesome.’ People are always looking for that magical work-from-home opportunity where you don’t have to rely on childcare—and the reality of that is it doesn’t work. There’s not really a way to combine being a mom and working at the very same time. You can be both, of course. But you really need to make a separate space for your work self and your mom self. When I launched Umami I was already a mom, but I had my second daughter a few years into running my own business. When I found out I was pregnant, I started daydreaming about this idea of maybe I’ll be a stay-at-home mom part of the time and a working mom part of the time. I made a plan to do a couple days at daycare and try to squeeze all of my work and meetings in on those days, and then try to do some work while the baby was napping on the other days. I quickly realized it just wasn’t working. And I was so stressed out. Even when you try to set your own schedule, other people forget that you’re off on Mondays, or can only do something on Monday, and then you’re trying to adapt and make it work and it’s hard. I remember one day I had a really important call I had to be on at noon and the baby was awake and kind of fussy, and I was just desperately trying to rock her to sleep, begging her to fall asleep so I could do this phone call. You don’t want to be the person on the call with a crying baby in the background. People understand— but at the same time they don’t. So I started off with two days of daycare and then I went up to three and then I was like, ‘yeah, I think I need to go all the way up to five.’ Even though I already had a good understanding of what being a mom was and what running my own business was, with my second child it took me a while to fully understand the reality of the situation. So I just continue to adapt and find things that work and that’s OK.